The Augustinian priory and hospital of St Mary without Bishopsgate (later known as St Mary Spital) was founded in 1197 and completely rebuilt in the 13th and 14th centuries. 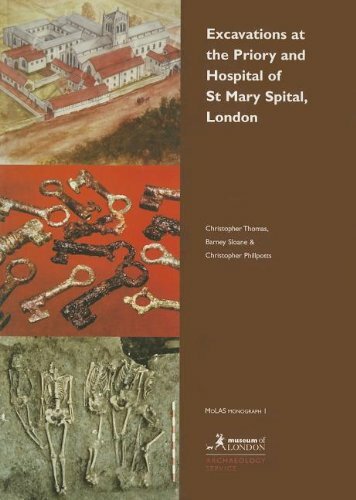 The results of excavations between 1982 and 1991 are integrated with documentary, finds and environmental evidence in a chronological narrative which charts the development of the medieval infirmary, chapel and cemetery, and of the monastic cloister. Thematic chapters address such issues as health and hygiene, standards of living and trest,emt of the sick poor. The post-Dissolution fragmentation of the precinct and the formation of the wealthy suburb of Spitalfields are also described.